Enhance collaboration in your organization, and modernize your audit methodology with connected compliance. Analyze risks across all pillars. Increase transparency, aggregate risk assessment data, and improve collaboration between the three lines of defense. Eliminate redundant work. Focus on the right internal audits. Workiva solutions simplify the scoping and planning process. Link relevant risk and control data to various audit program guides for up-to-the-minute decision-making. Increase efficiency by managing workpapers, audit fieldwork, and testing on a single, secure cloud platform. End-to-end process collaboration. Leverage dashboards and reports to review the status and audit trail of time-sensitive issues. Ensure consistent and balanced messaging in your final audit reports. Have confidence in the accuracy of your data. I knew outside consultants and external audit would be able to use Wdesk with minimal upfront training—just a quick 30-minute review of the functionality would be sufficient. 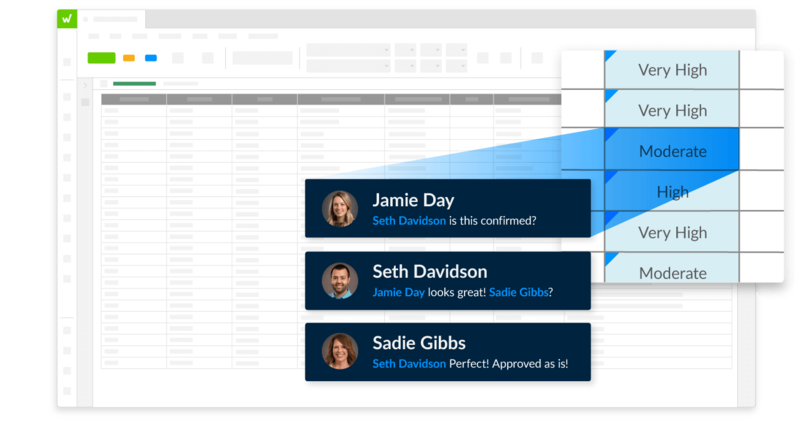 By using Wdesk, we cut two weeks from our previous process, which was reliant on back-and-forth emails to collect and track input. Making updates to documentation in Wdesk is so easy for our external consultants that we have saved time and money by decreasing the consulting hours spent on SOX. Wdesk helps us manage our time on individual audits. We are picking up minutes everywhere, and those minutes turn into hours that we can devote to other projects.